What’s in the parts bin? I have been collecting bicycle parts for a while to customise a few of my bikes. The pile on the left is for my Cell Bikes fixie frame, Wonder Woman. The pile in the middle is for my Wabi Cycles Special, Tigger. 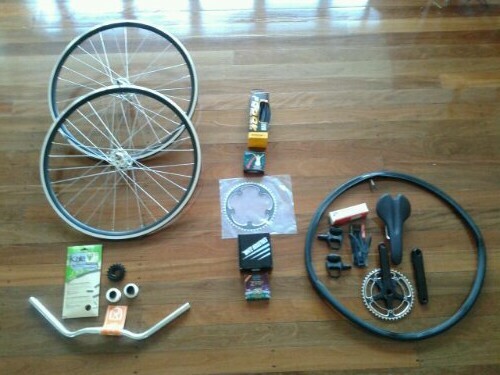 The pile on the right is for my Cycling Deal fixie frame, Project Beetlejuice. This entry was posted in Bicycles and tagged Project Beetlejuice, Tigger, Wonder Woman on 19 March 2014 by Rex. A few people have asked me what is happening with Project Beetlejuice — my bike build using a Cycling Deal fixie/track frame TF-56W. 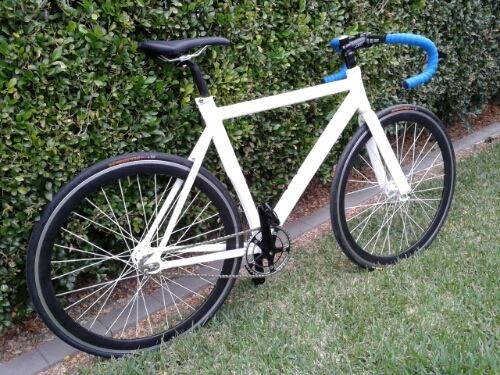 The Wabi Special is a much nicer bike than the Cycling Deal fixie/track frame TF-56W was ever going to be. The Wabi is probably lighter, even though it has a steel frame (high quality Reynolds 725 steel, mind you) and more comfortable geometry than the Cycling Deal frame. I have therefore changed the focus of the Project Beetlejuice build. 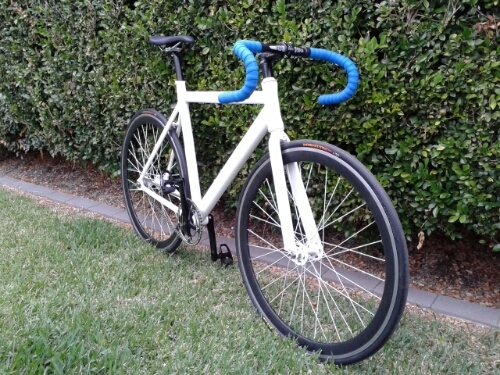 I had originally been building a budget bike, but spending money on a few key nice parts, such as wheels. 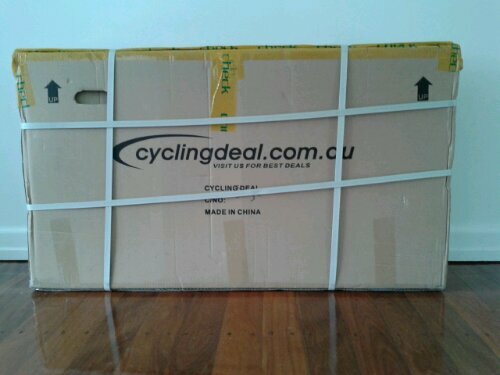 The aluminium Cycling Deal frame is now going to become my rain bike. I may end up renaming the build at some point — I just need to find a more appropriate name! 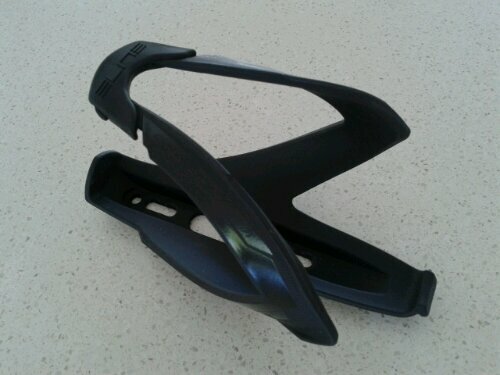 I have fitted the headset, but done a bit of a dodgy job of it. Both the bearings and the seat were painted. I probably should have removed this paint before trying to fit the headset because the bearings were a stupidly tight fit. I am hoping that I have not damaged the frame or bearings in the process of trying to fit them. I will take some photos, but I have been unable to get the bottom bearing to sit square. I am hoping that a few hundred kilometres of road vibrations will sort it out. 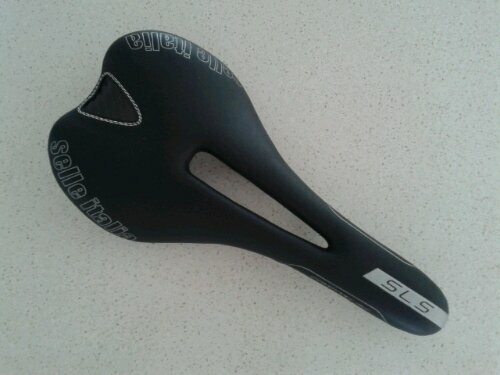 The OEM saddle on the Wabi Special will be used on the Cycling Deal frame. The OEM tyres on the Wabi Special were Kenda Koncept tyres and Kenda tubes — on removing and inspecting them, they actually are pretty decent tyres and tubes, so I will reuse them on this bike. I am planning to replace the handle bars on my orange Cell Bikes singlespeed with a set of wide bars in keeping with the original intent of Wonder Woman being a townie bike. The riser bars on Wonder Woman will make their way to this bike. In keeping with Wonder Woman’s town bike style, I plan to also remove the deep dish wheels and fit them to the Cycling Deal frame. That should then only leave cranks, chainring, pedals, stem, brake levers and calipers, and a chain to complete this build. 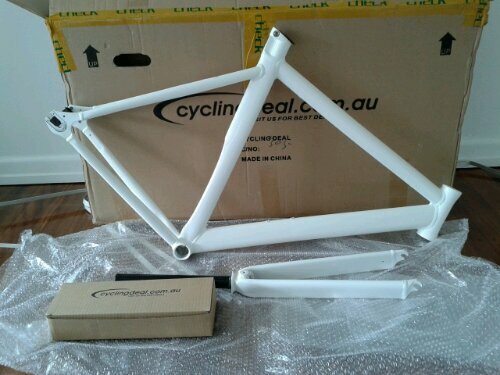 For more posts on the Cycling Deal fixie/track frame TF-56W bike build, explore the Project Beetlejuice tag. 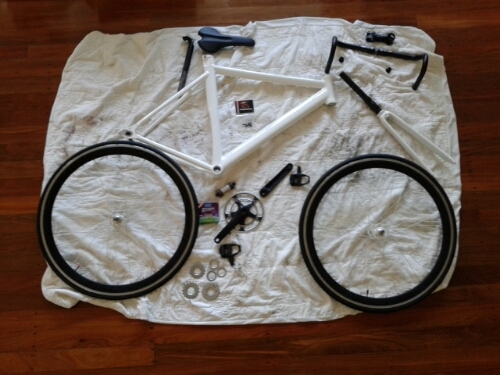 This entry was posted in Bicycles and tagged Cycling Deal, Project Beetlejuice on 23 February 2014 by Rex. I have started collecting parts for my next bike build project. I have named the build Project Beetlejuice because I want this bike to have a hint of wild side. The bike will be a singlespeed. 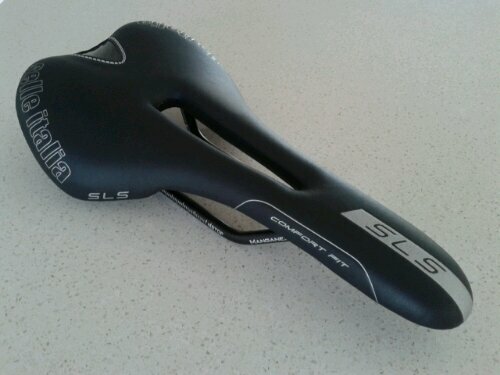 This is the first part of Project Beetlejuice, a Selle Italia SLS Kit Carbonio Flow saddle. According to my scales, it weighs in at 215 grams. 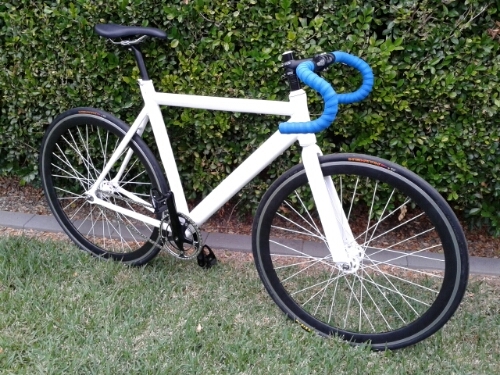 This entry was posted in Bicycles and tagged Fixie, Project Beetlejuice, Selle Italia, Singlespeed, Weight Weenie on 21 October 2013 by Rex.